This work exemplifies the power of fusion between art and architecture in a project that conveys purpose and emotion and creates a place of reflection, serenity and significance for its nation. 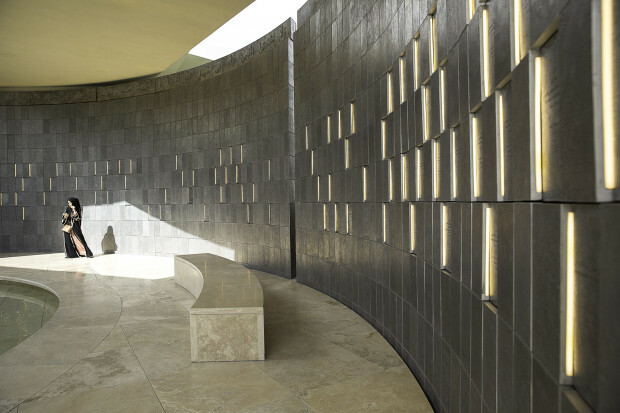 The conceptual direction of the project was conceived by a world renowned interdisciplinary artist to “create a park for reflection on both loss and remembrance, a spiritual place that conveyed unity and support - a monument that has positive and hopeful resonance while inspiring curiosity in sculpture and how contemporary art can influence emotions”. 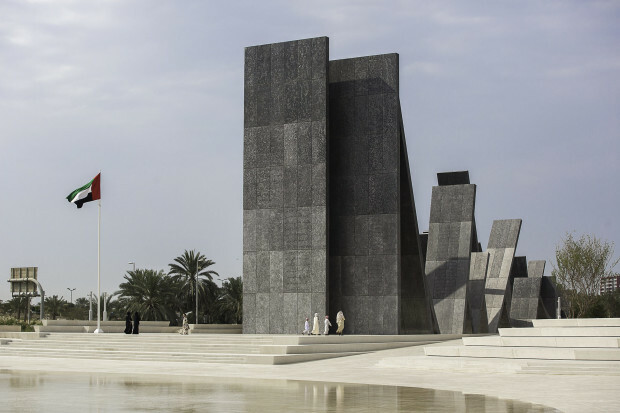 The centrepiece of ‘Wahat Al Karama’, meaning “the oasis of dignity”, is a 90-metre long monument comprised of 31 leaning tablets which symbolise the support between soldiers, families and citizens in the face of adversity. 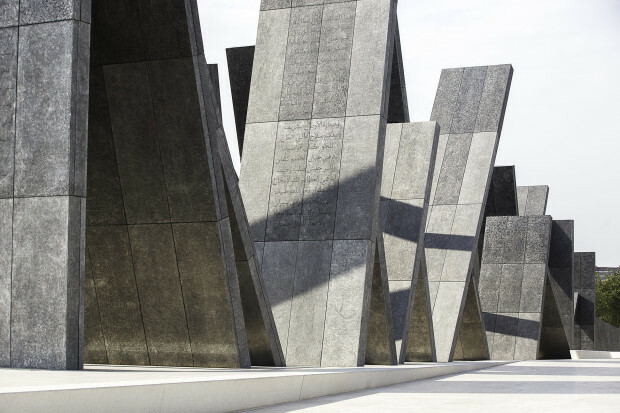 Clad with over 850 cast aluminium panels, sections of the tablets are sandblasted and stamped with poems by emirs of the UAE. 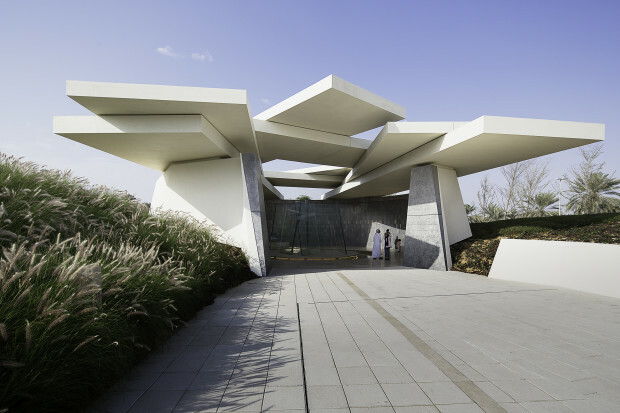 The ‘Pavilion of Honour’ positioned at the end of the memorial journey was designed by Khan in collaboration with bureau^proberts. The internal walls of the pavilion are clad with over 2,700 plates cast from 11 tons of recycled aluminium sourced from decommissioned armoured vehicles. The plates are embedded with names of UAE heroes whose lives have been lost in service. 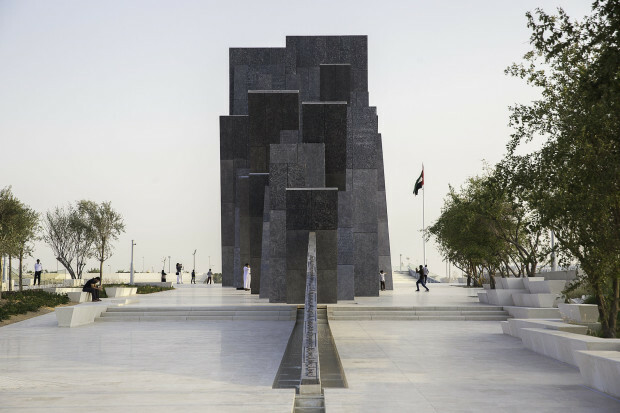 Idris Khan was selected for the project from a curation of international artists, where a strong cultural connection and understanding made his memorial the winning concept. 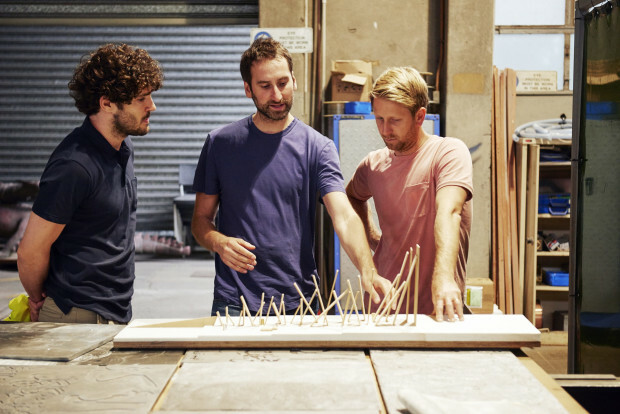 UAP worked closely with Khan, from concept design to fabrication and installation, to translate his vision into this monumental work.